A simple and affordable precision farming display which has an entry-level solution offering guidance and universal terminal capabilities. The Compass display offers integrated onscreen guidance to increase accuracy and extend working hours. Additionally, the Compass display supports the most common and advanced guidance patterns, including SmartPath. 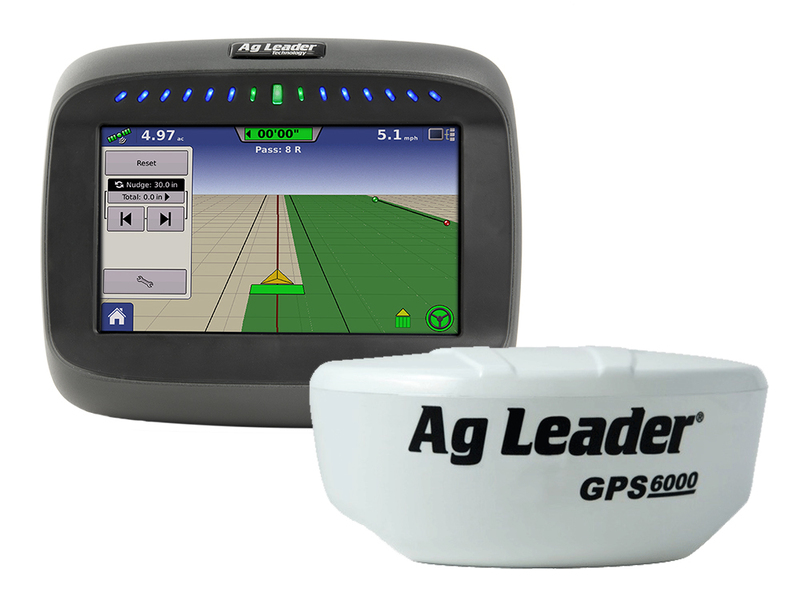 With integrated onscreen guidance, the Compass display supports multiple guidance patterns and displays the field ahead with multiple views. Combine with OnTrac3 assisted steering or SteerCommand with GPS 6000 integrated steering system for high-end guidance. Simple operation and setup for guidance. New event feature allows operators to simply create a new event and go. Events track field work and maps, and are automatically named by date and time. Record field boundaries, sub-boundaries, in-field obstacles, waterways or tile lines, and view maps in real time from the cab.